SONIQ NX-Series 75" Ultra HD Google Chromecast TV N75UX17A-AU Smart. 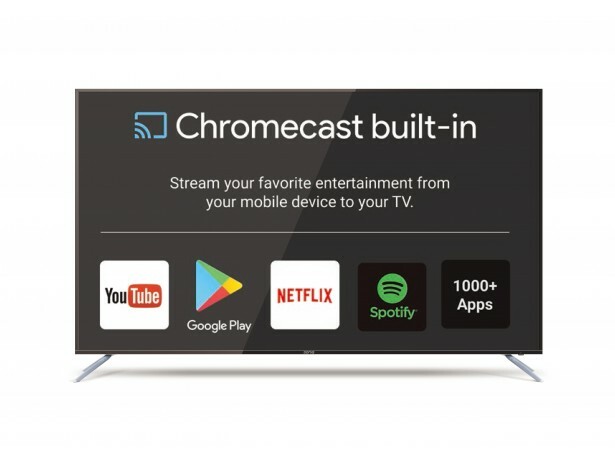 Use the Smart In-Built Google Chromecast to stream your favourite Movies and Music straight from any compatible electronic device and enjoy! No need for any additional devices, do it all on the stunning NX-Series 75" Ultra HD Display and be blown away with your next viewing experience. The SONIQ NX-Series 75" is fully 4K compatible at 100Hz meaning that you are able to get the best viewing experience on the market. Connect to the SONIQ NX-Series 75" with any of your devices through the 3x HDMI 2.0, USB 2.0, Ethernet, or even RF port. All while being compliant and VESA wall mountable.